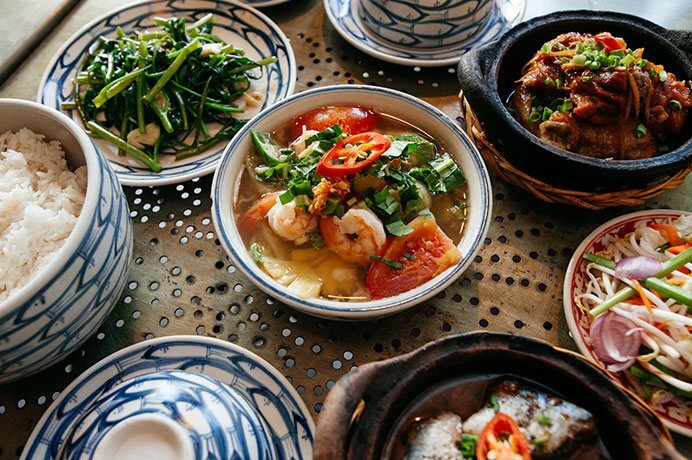 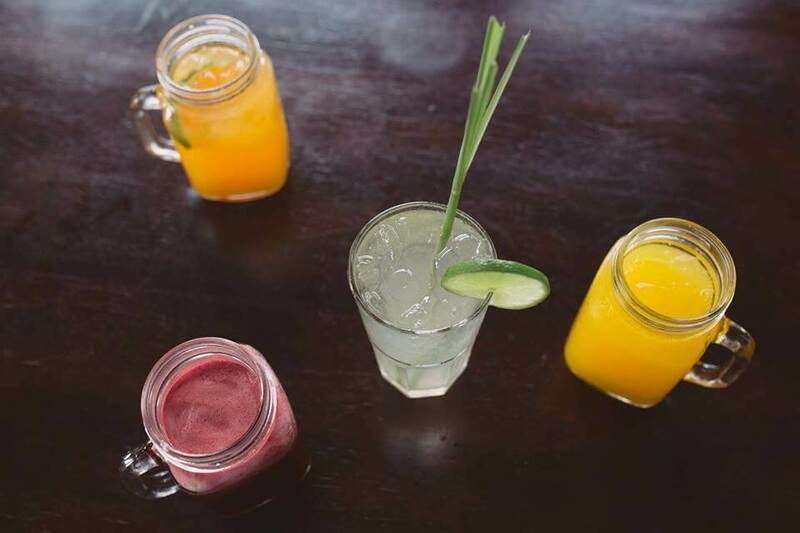 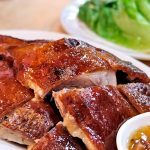 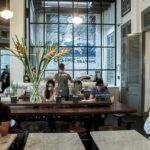 Top restaurants in Hanoi & Saigon — 7 signature restaurants in Saigon and Hanoi you should visit - Living + Nomads – Travel tips, Guides, News & Information! 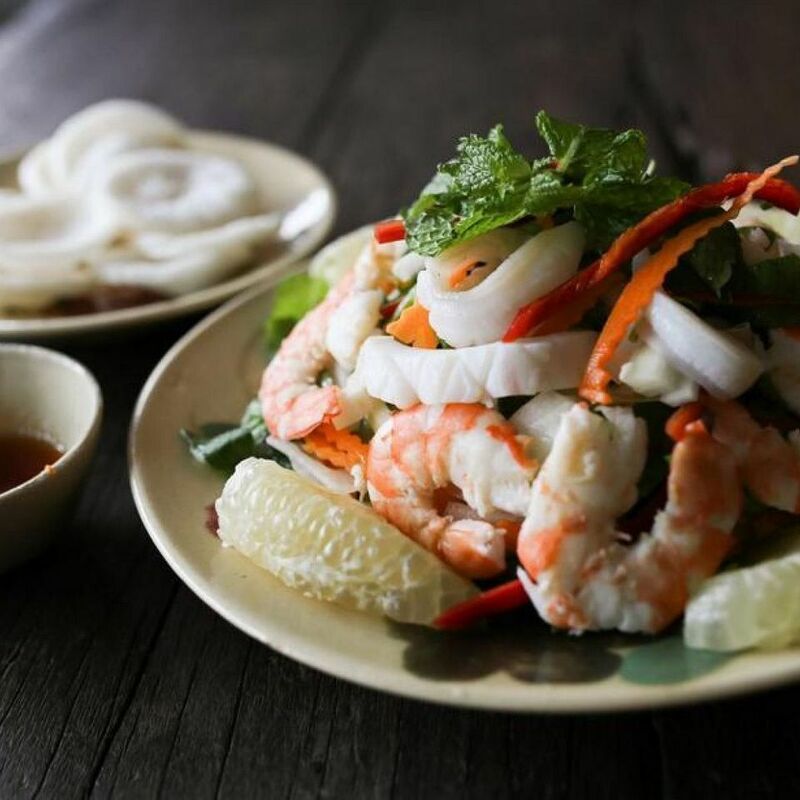 Along with journeys to conquer new lands, cuisine is an indispensable experience for travelers. 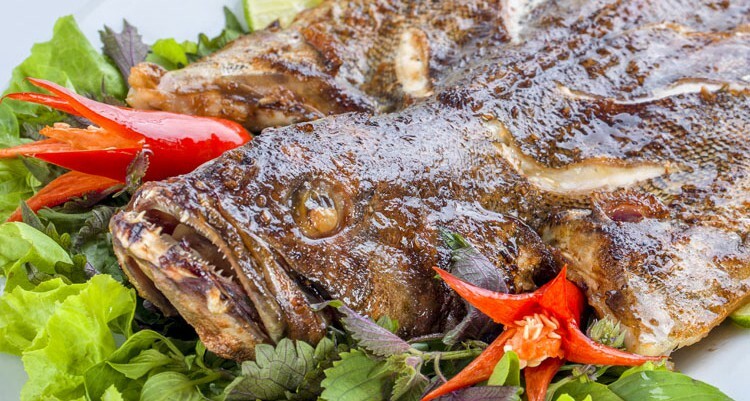 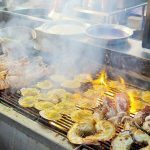 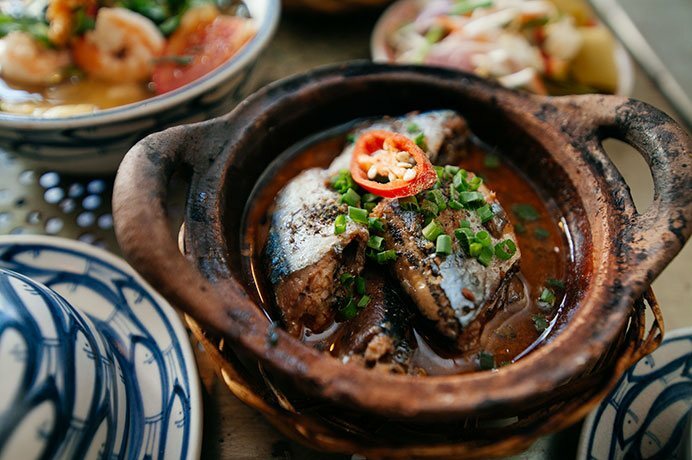 In this issue, Living Nomads would like to recommend the top restaurants in Hanoi and top restaurants in Saigon at the two biggest tourist cities of Vietnam. 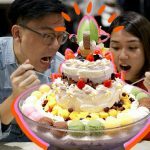 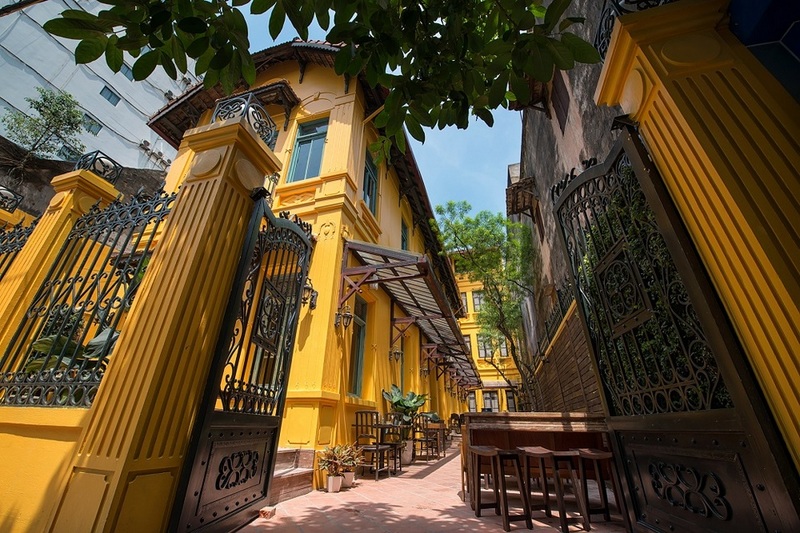 Credit: top restaurants in Hanoi blog. 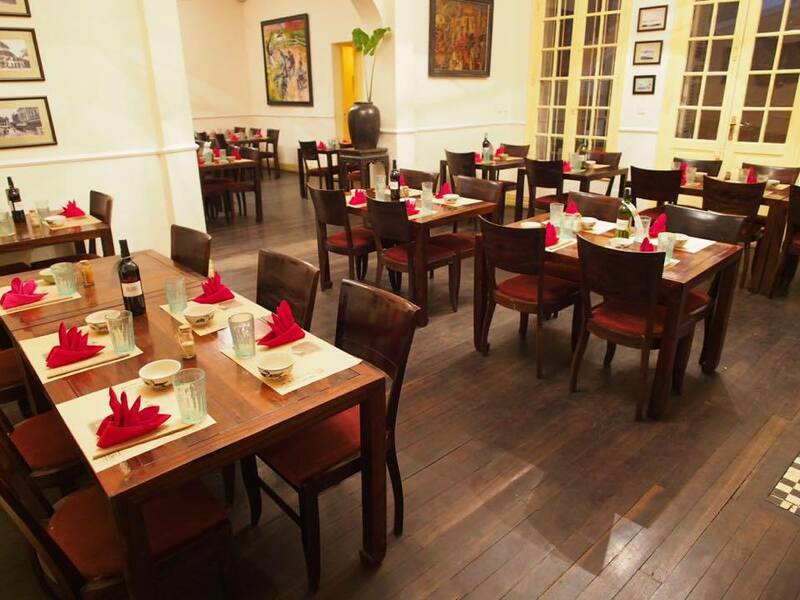 One step into Home restaurant, and you will find yourself in love with a cosy and homey ambiance. 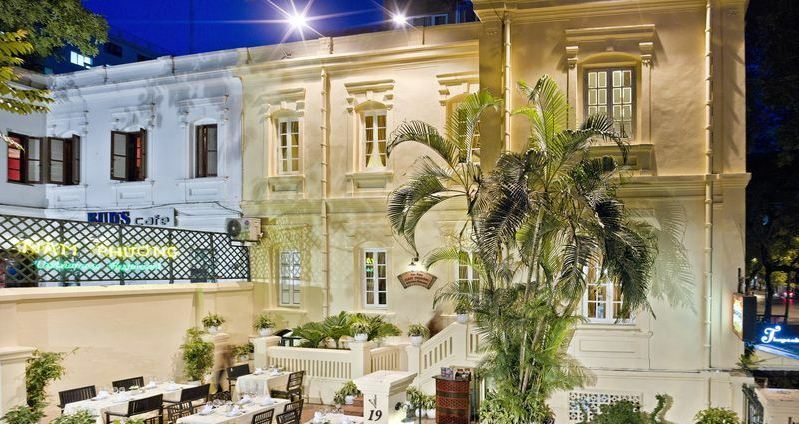 Set within a 100-year-old former French residence, the restaurant’s interior space befits the exterior majesty with a modern and yet cozy arrangement inspired by traditional and historic tastes. 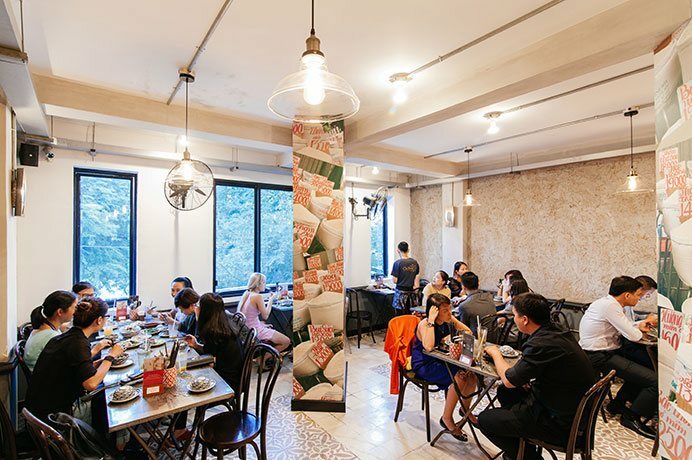 Credit: home vietnamese restaurant hanoi blog. 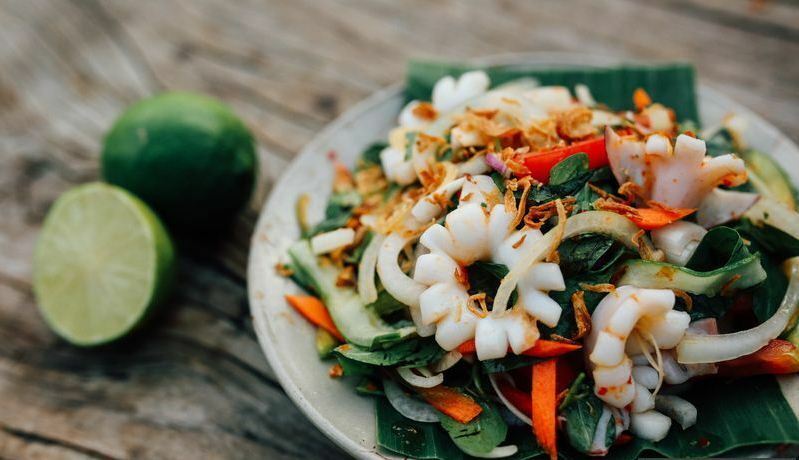 12 crunchy salads, several types of spring rolls and over 50 authentic Vietnamese dishes are cooked to perfection to best accompany the original flavors of Vietnamese cuisine while yet remaining suitable for international tastes. 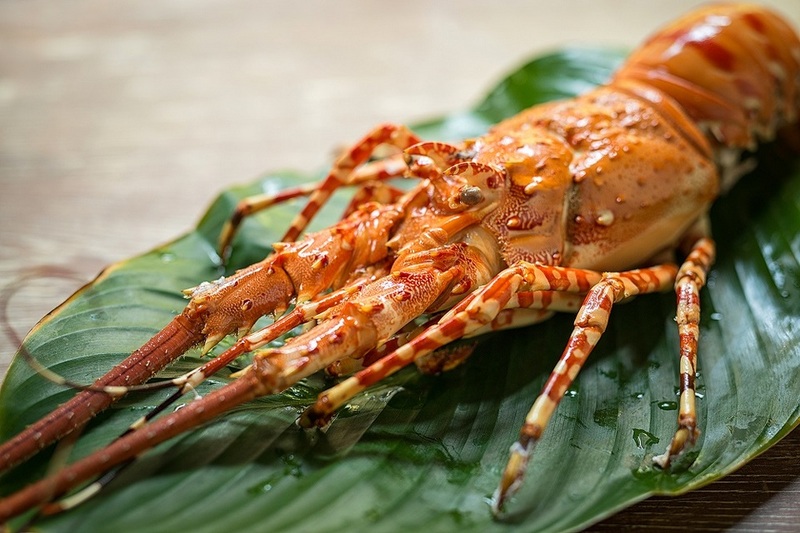 Let Home bring you on a journey through time with signature dishes such as four season salads, deep-fried prawns with egg batter and green rice, deep-fried soft shell crab with tamarind sauce, sautéed lobster in sweet and sour tamarind sauce, grilled pork shoulder sliced with galangal sauce, the Hanoian char-grilled pork with fresh rice vermicelli noodles and grilled daily caught catfish. 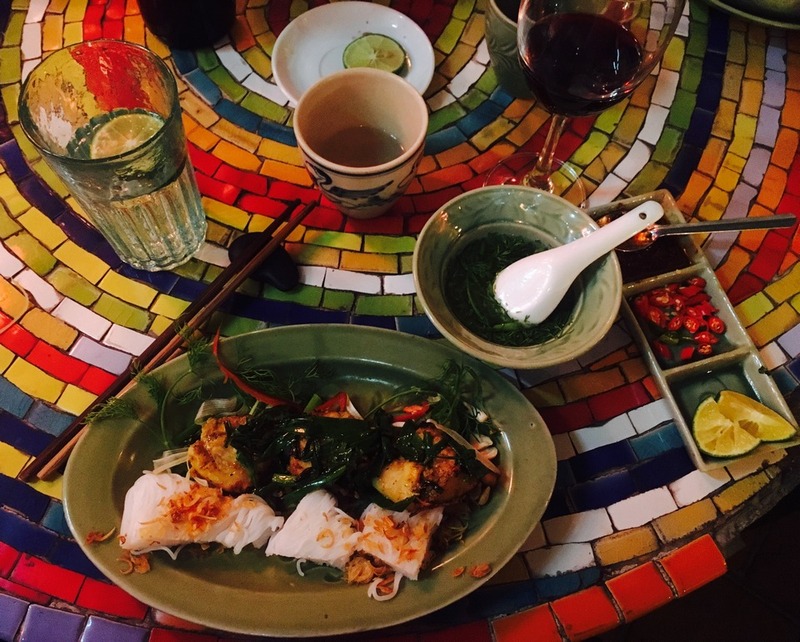 Featured wines are also well-paired with Vietnamese dishes. 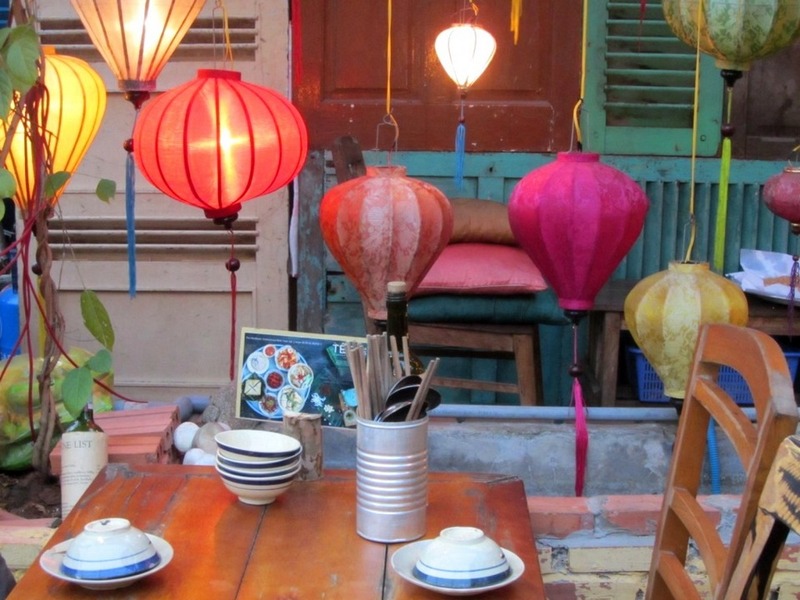 After a long journey, Home will be a favorite place for your first dinner in Hanoi, like a home away from home. 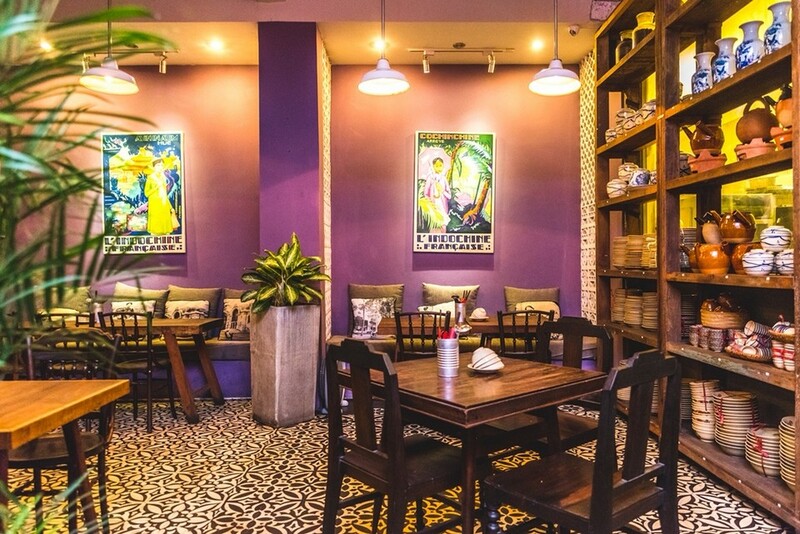 Image by: vietnamese restaurant hanoi old quarter blog. 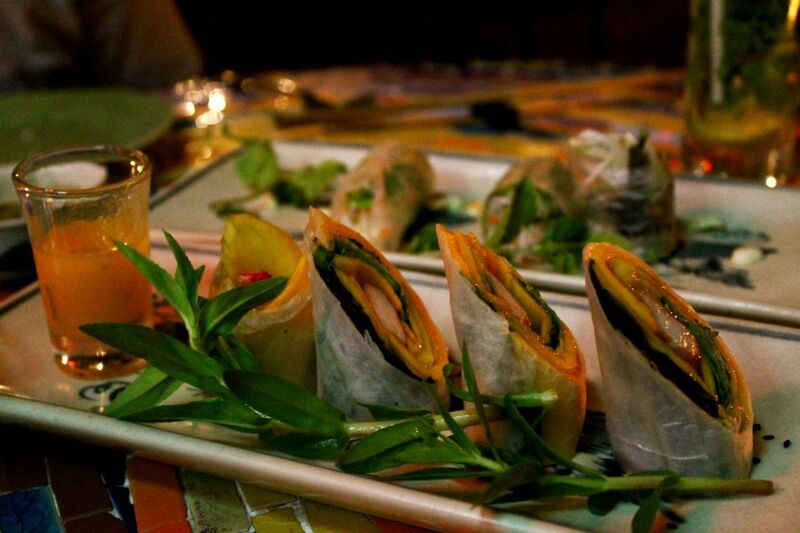 Credit: best vietnamese restaurant in hanoi old quarter blog. 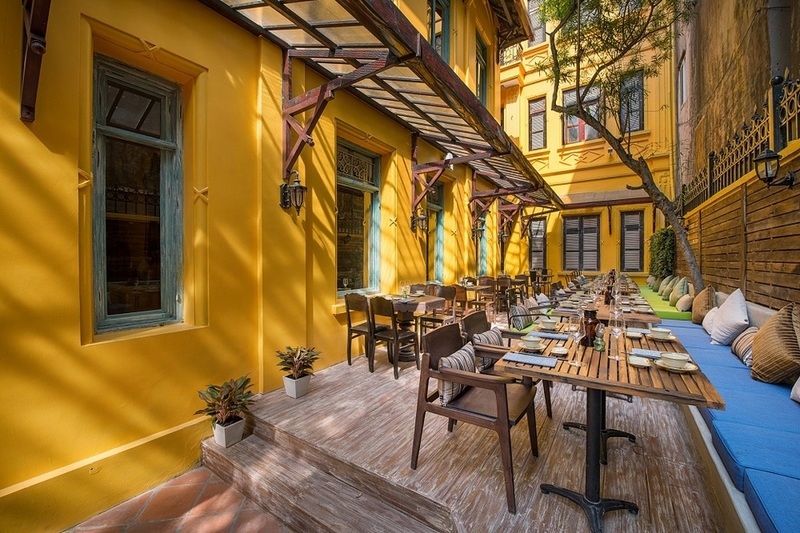 Housed in a restored French villa at the heart of Hanoi, Madame Hien is a popular destination of both local and international visitors. 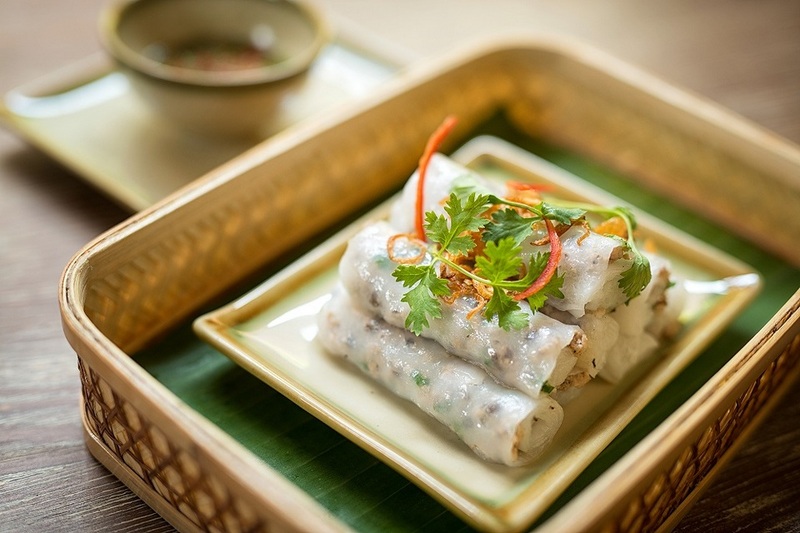 In addition to original Vietnamese plates cooked by Mr. Didier Corlou – chef of Sofitel Metropole Hanoi Hotel- and his associates, few people known that Madame Hien is a tribute to the chef’s Vietnamese grandmother. 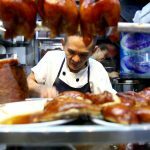 His wife’s family is a big inspiration for him to cook Vietnamese foods. 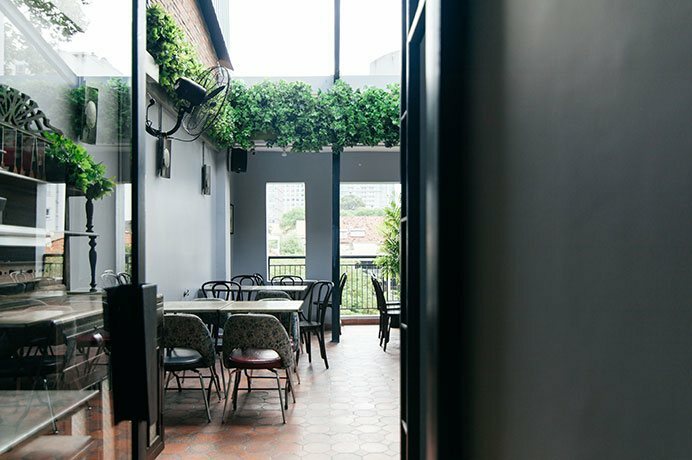 Stepping inside Madame Hien, customers may immediately feel the distinction of it through a cozy atmosphere created by the art of classy installations and simple furniture showing Vietnamese soul and culture, from dark brown wooden tables,chairs and cupboards to black and white photos of Hanoi and elegant Vietnamese women. 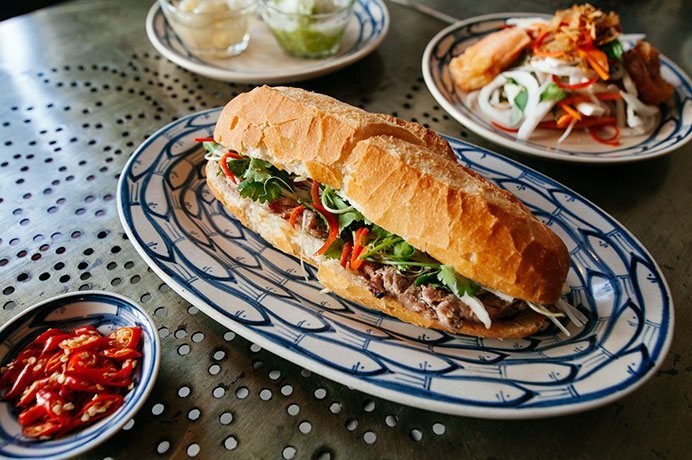 This also expresses his particular love for Vietnam. 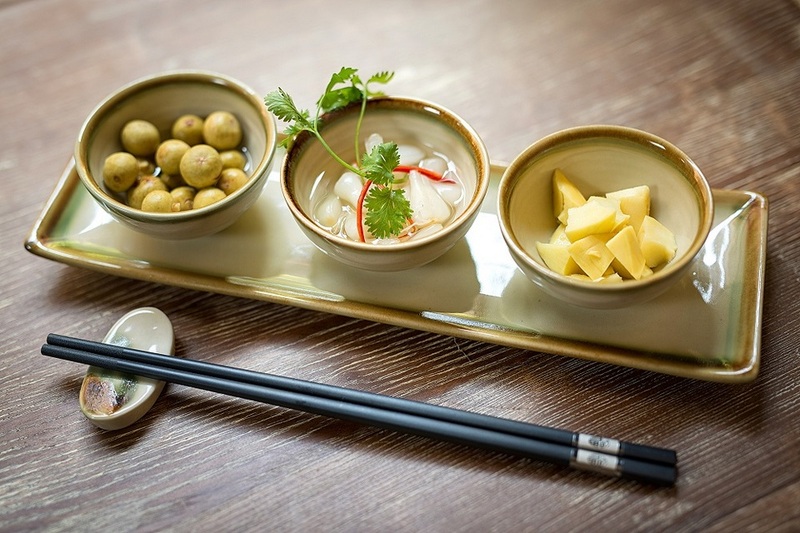 Instead of using modern kitchenwares, the restaurant serves guests with simple things such as plain green cups, unadorned chopsticks and porcelain bowls. 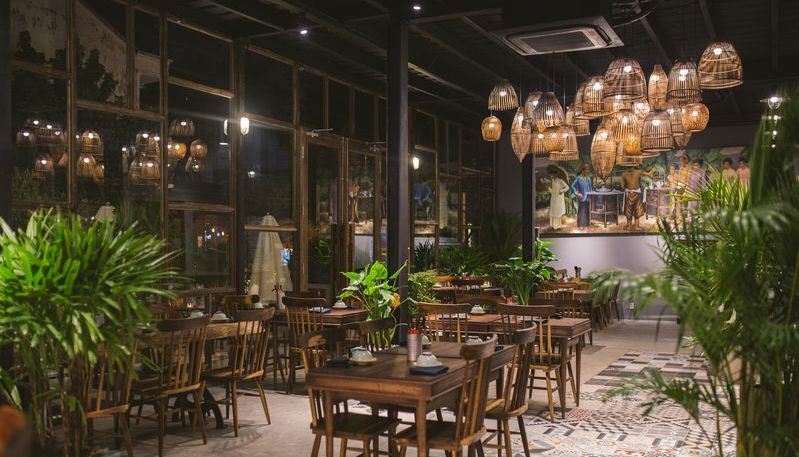 While foreign guests will have a spectacular new experience, Vietnamese diners will feel intimate and cozy as the scene harkens back to times they might very well have almost forgotten. 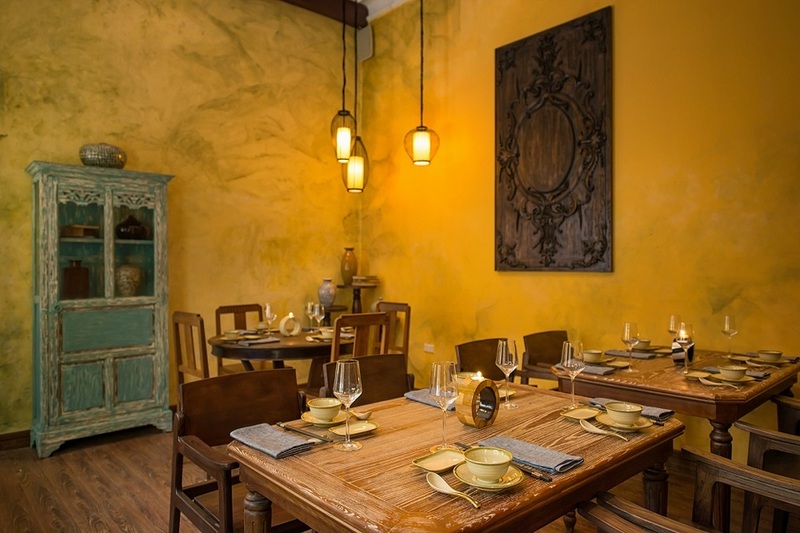 Housed in a restored 19th-century villa, Madame Hien is a tribute to French chef Didier Corlu’s Vietnamese grandmother. 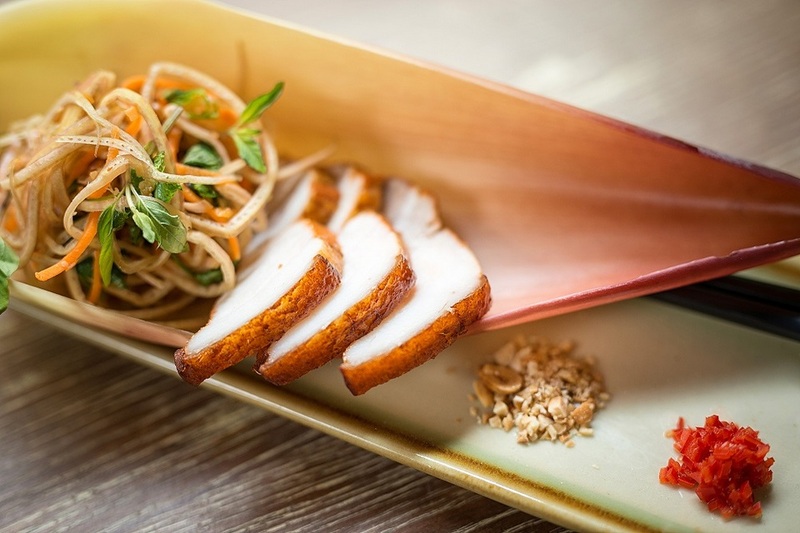 Didier Corlou has a passion of cooking with Vietnamese spices and streetfoods. 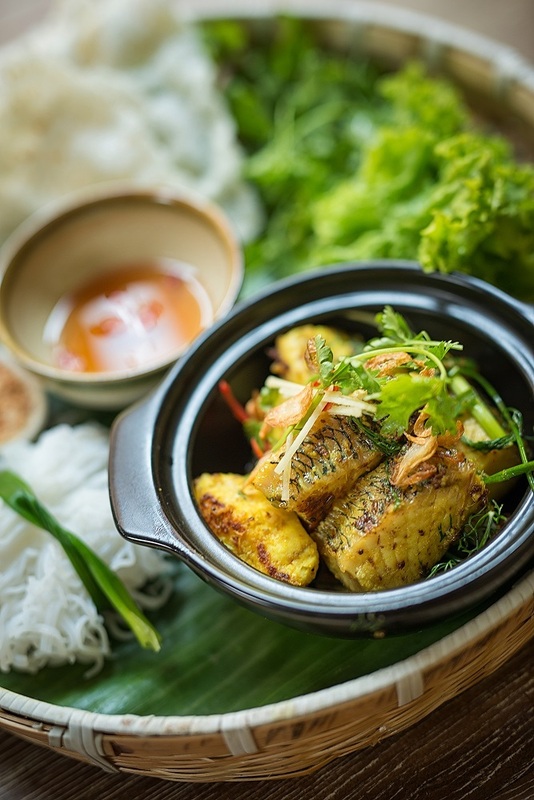 Therefore, do not miss a chance to taste bun cha (barbecued pork), cha ca (grilled fish with galangal and vermicelli noodles), spring rolls, green papaya salad, banana flower salad and a wide selection of luscious dishes in the traditional Vietnamese space of Madame Hien. 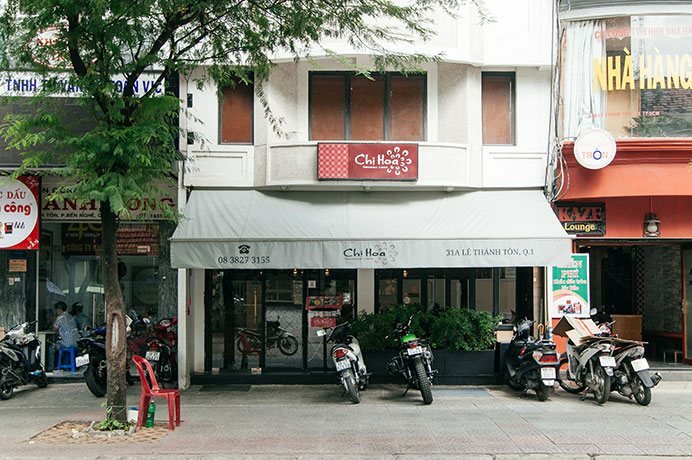 Address: 15 Chan Cam, Hang Trong, Hoan Kiem, Hanoi / 18 Ngo Van So, Hoan Kiem, Hanoi. 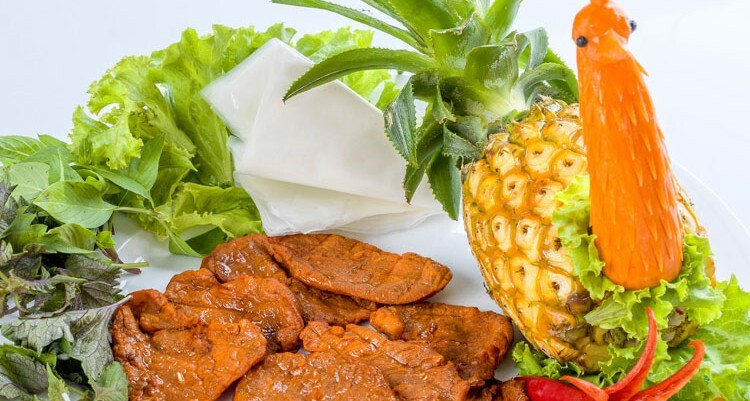 Tel: 024 3938 1589. 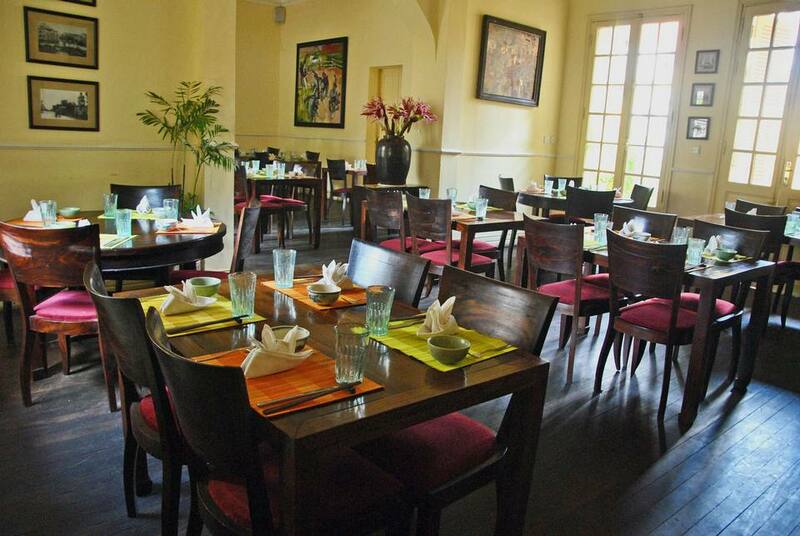 Opened in 1996, Nam Phuong is known as one of the finest Vietnamese Restaurant in Hanoi oriented toward foreigners. 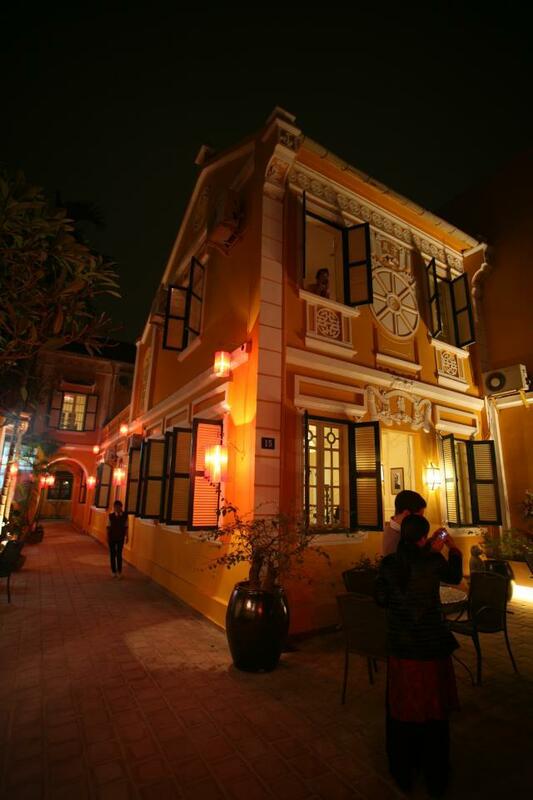 Located right in the city center of Hanoi, the restaurant has a peaceful space set in an old French villa. 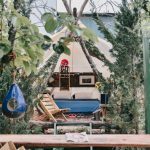 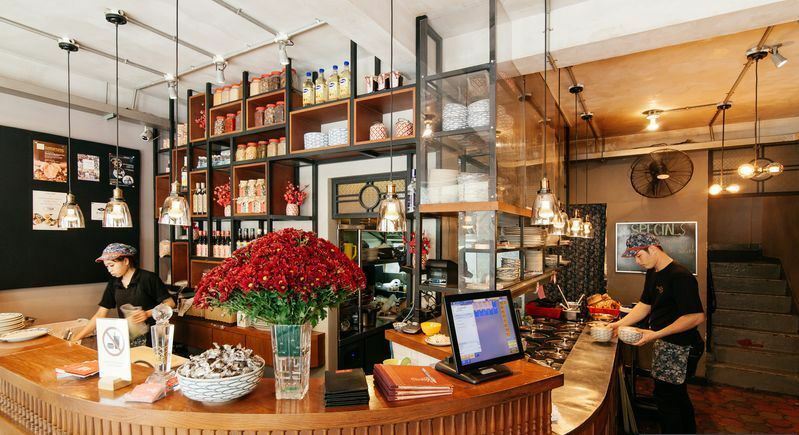 Just-right architecture and cozy decorations make customer feel warm, and gently relaxed. 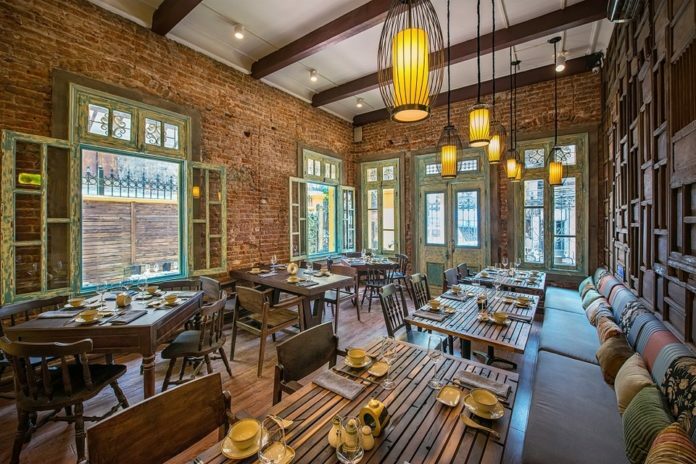 Nam Phuong has a small light green yard outside; simple interior decoration; warm elegant dining rooms and exquisite details on the tables. 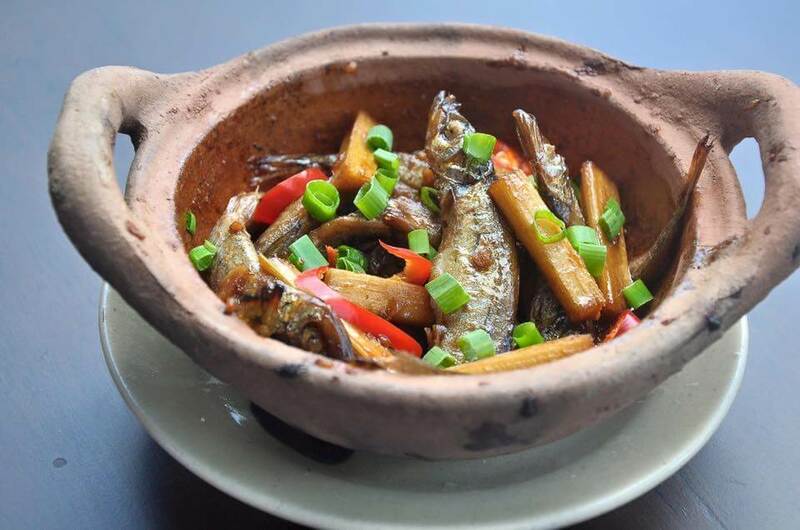 Dropping by the restaurant in October and gourmets will be satisfied with a special menu of shark’s fin soup with crab meat, Nam Phuong vegetarian spring roll, seafood salad, crab meat with tamarind sauce, smoked black grouper, stir-fried asparagus with shrimp, stir-fried vegetables with garlic, steamed rice and sweet caramel cake with a price of 1,100,000VND/person. Credit: top restaurants in Saigon blog. 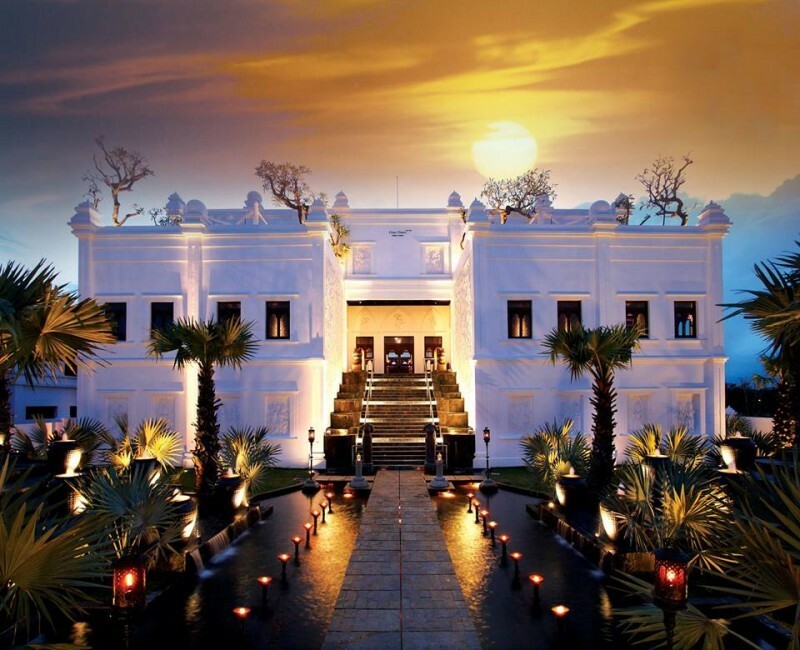 Viewed from the outside, the white structure conjures up the image of the sacred Taj Mahal in India. 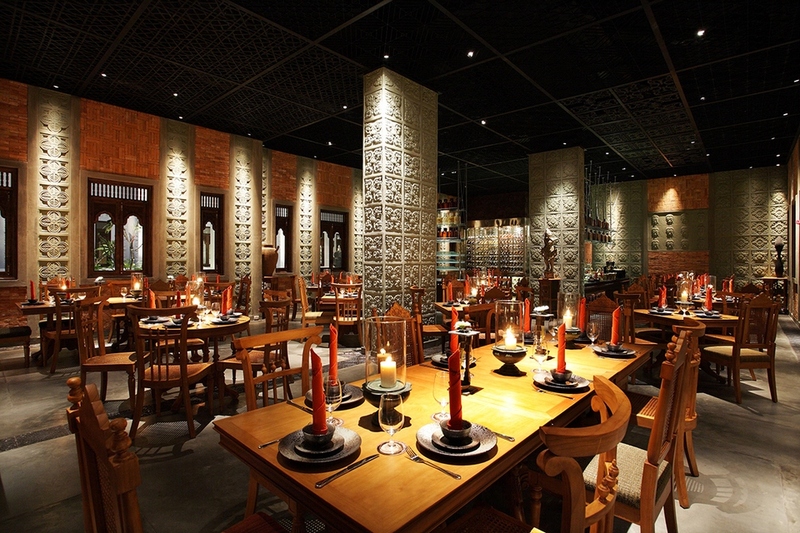 Inside, however, hot and cold lights thatseparate the spaces remind you of red Cham towers in the sunset. 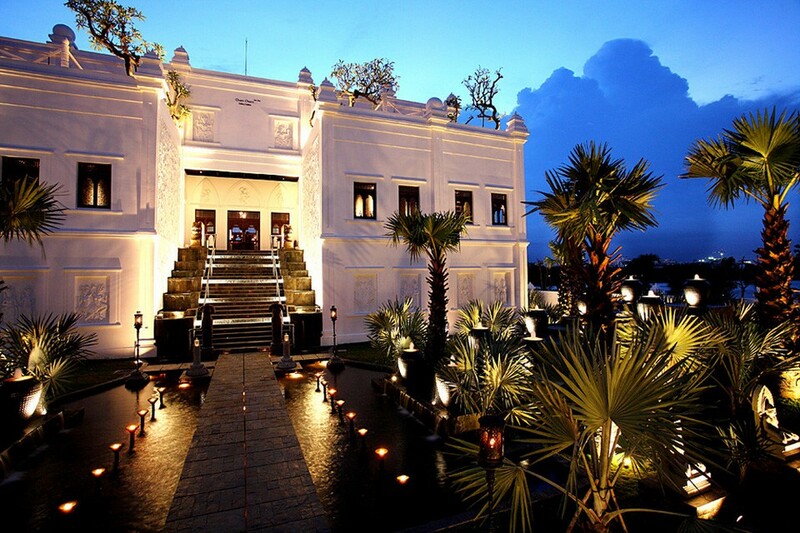 Cham Charm castle wins every diner’s heart right from the first sight. 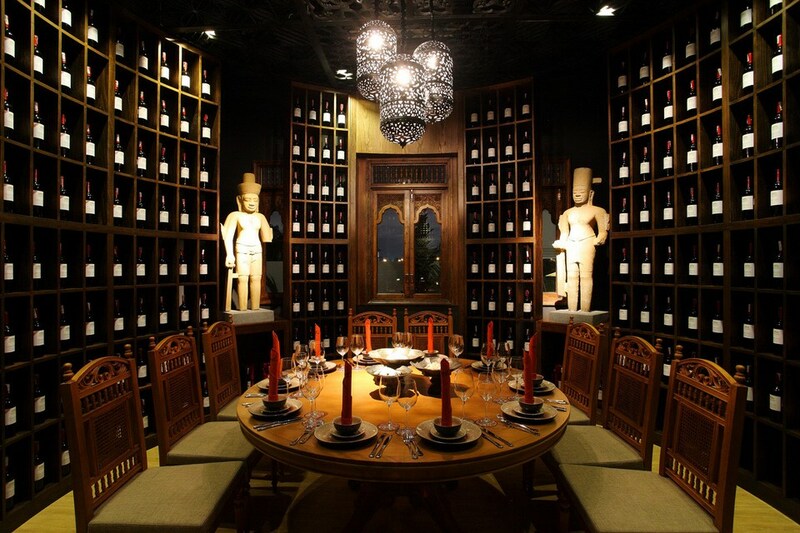 Luxurious and opulent spaces of the restaurant have made this a favorite destination for gastronomes at weekends. 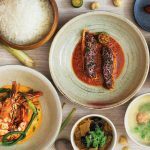 Cham Charm serves guests with a diverse menu ranging from Asian to European foods, with especially nuanced fresh seafoods. 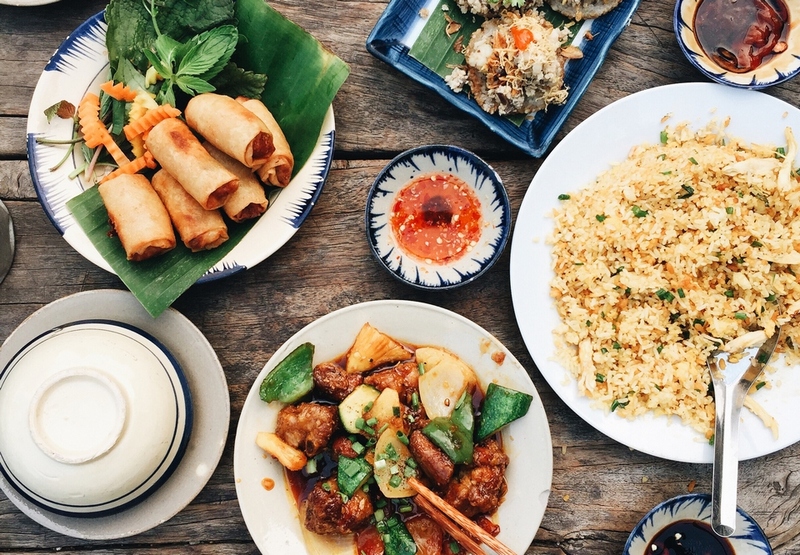 Japanese scallops, Tandoori grilled chicken, Indian lamb curry or American Angus beef and Australian beef fillet have embellished for the food collection of Cham Charm. 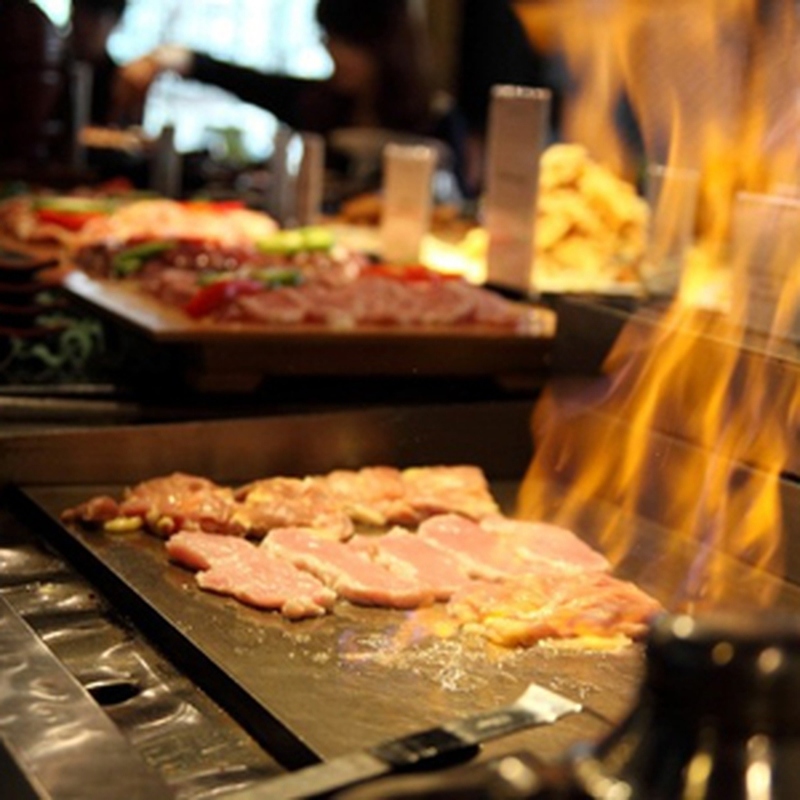 Open from 10:00 to 14:00 and from 10:00 to 21:00. 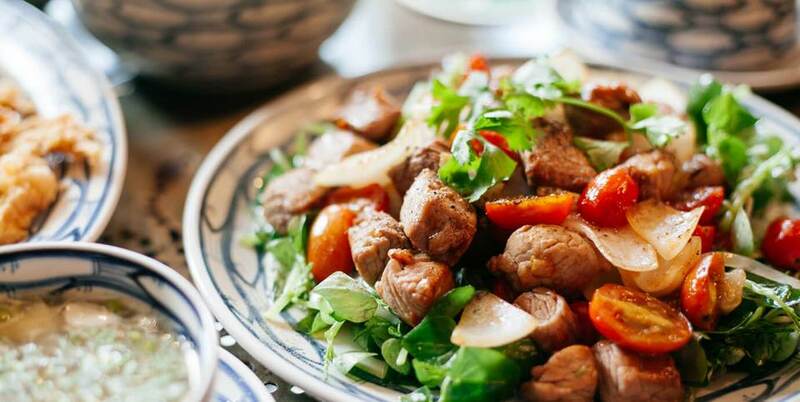 A buffet is priced at about VND700,000. 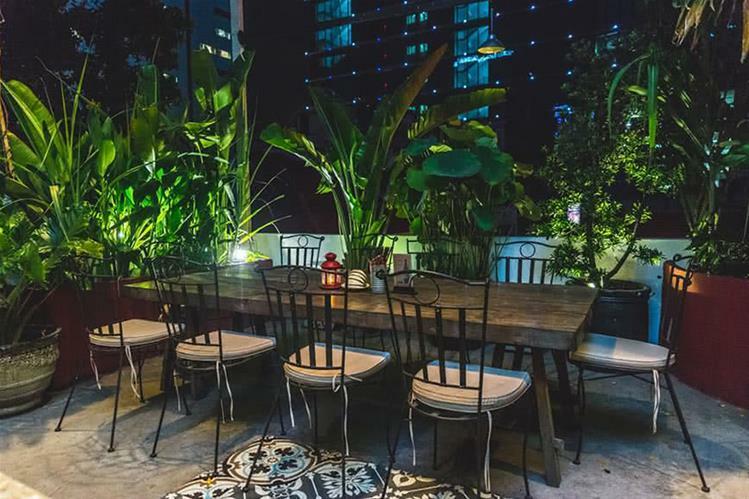 Secret Garden is a hidden garden on the rooftop of an old apartment building in Saigon center. 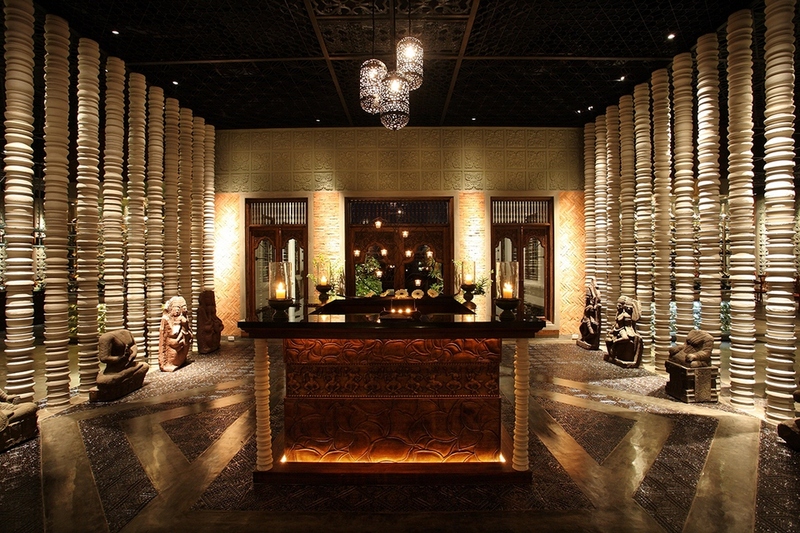 Here, you will be dazzled in a peaceful and serene world that is away from the hyperactivity of the crowded city. 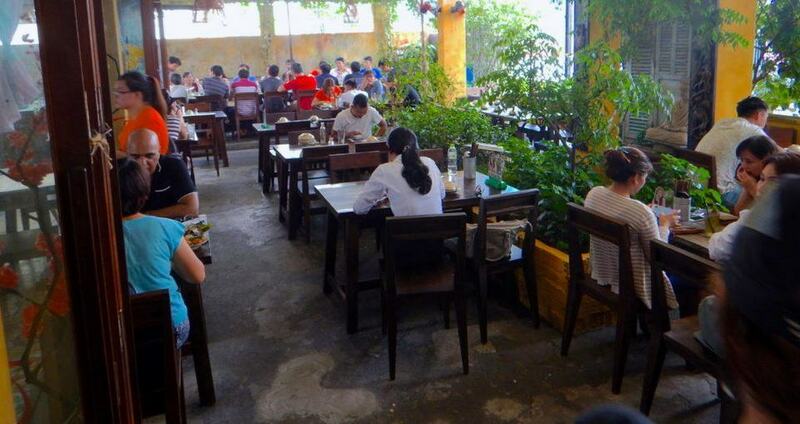 The restaurant is designed in a green space with many kinds of plants that are growing neatly. 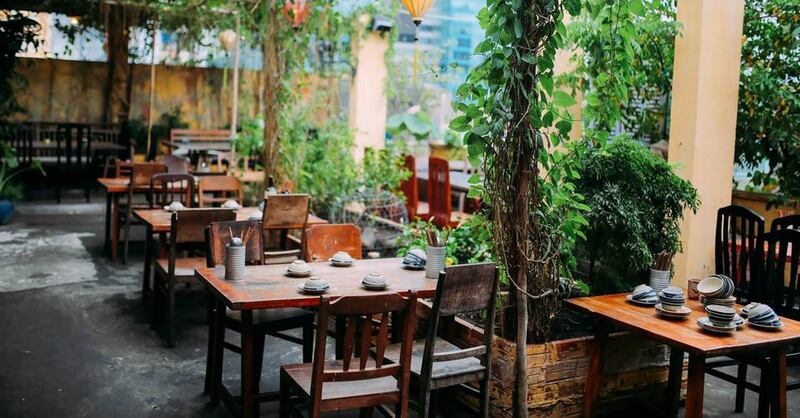 If you ever step here, you will see rustic tables, chairs, rice containers and bowls that will make you appreciate the homey feel. 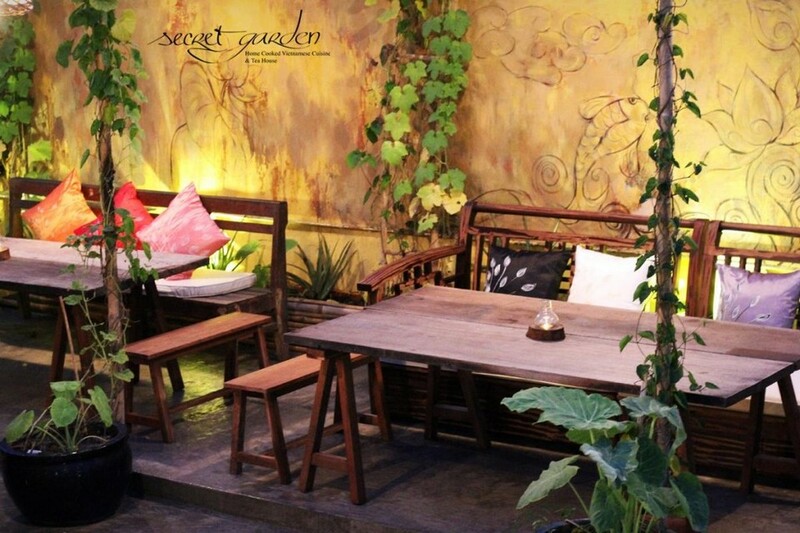 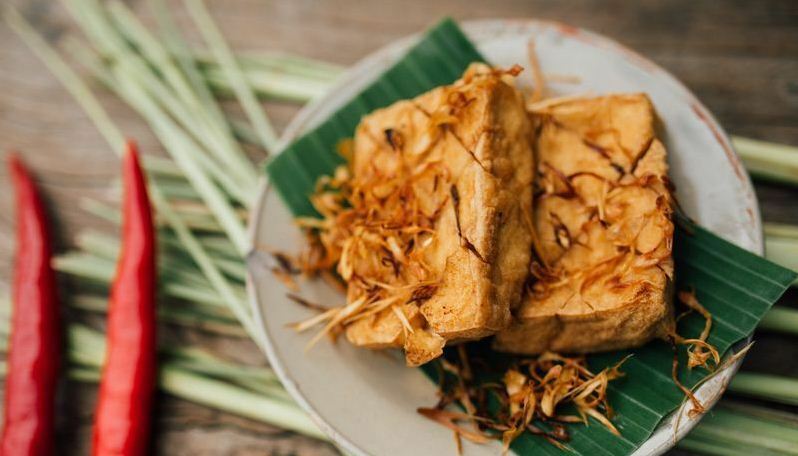 In Secret Garden, diners have a chance to enjoy tasty dishes such as fried squid with fish sauce, caramelized basa fish with onion and chili, fried catfish with spicy mango salad, and coconut roots with porks and shrimps that you can’t find anywhere else. 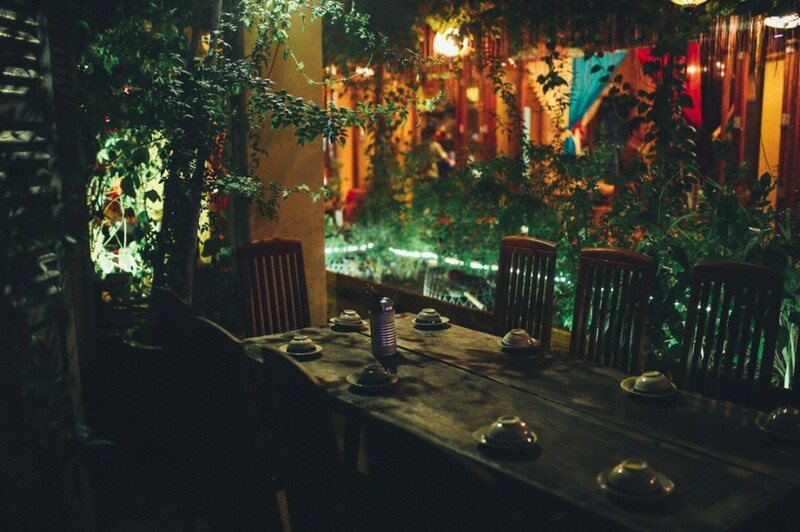 Come and enjoy a countryside meal within the city center. 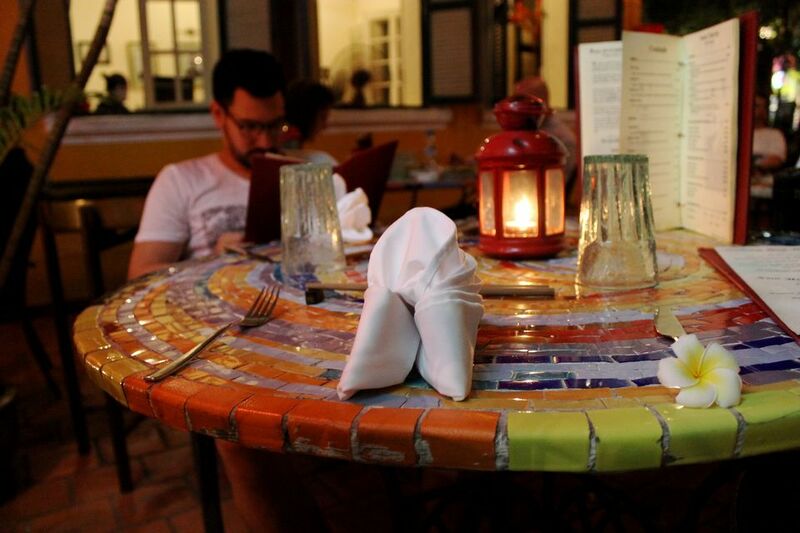 Opening hours : from 8:00 to 22:00 everyday. 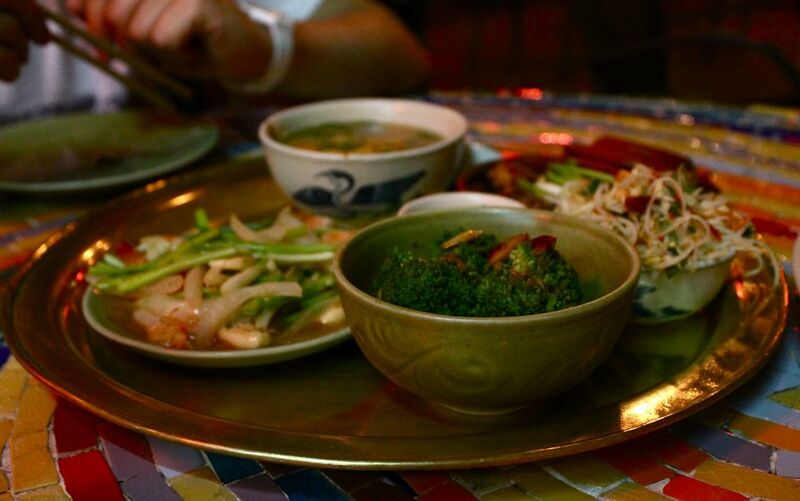 The price is reasonable at about VND65,000/dish. 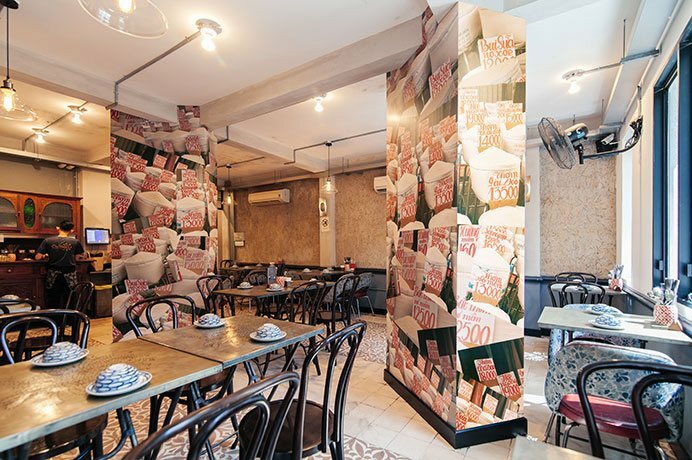 Located in the culinary street that attracts a large number of international visitors, the interior of the restaurant reminds people of an older Saigon and amazes every visitor. 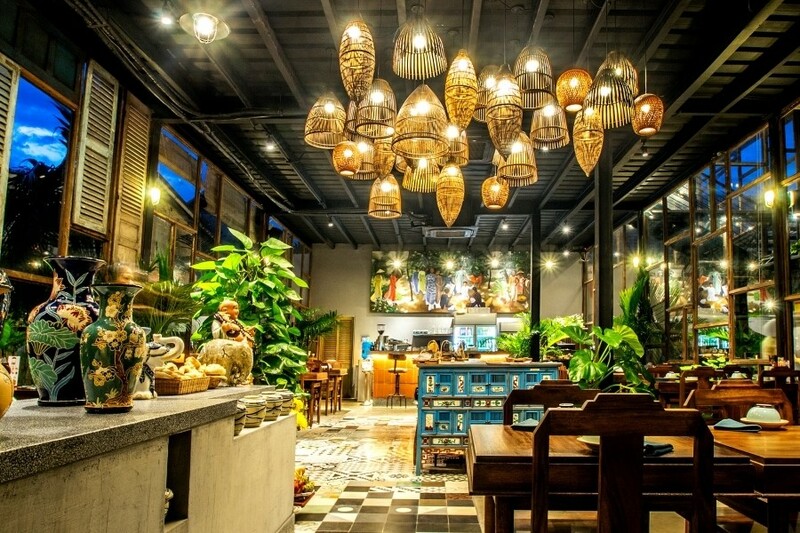 Quan Bui’s designs and décor are set in attractive Indochine style. 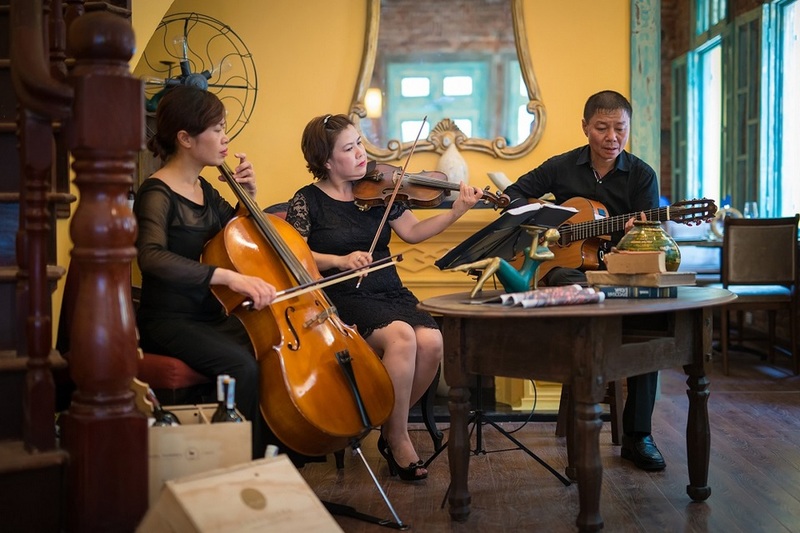 The old space is also filled with soft songs written by Trinh Cong Son, Pham Duy and Ngo Thuy Mien. 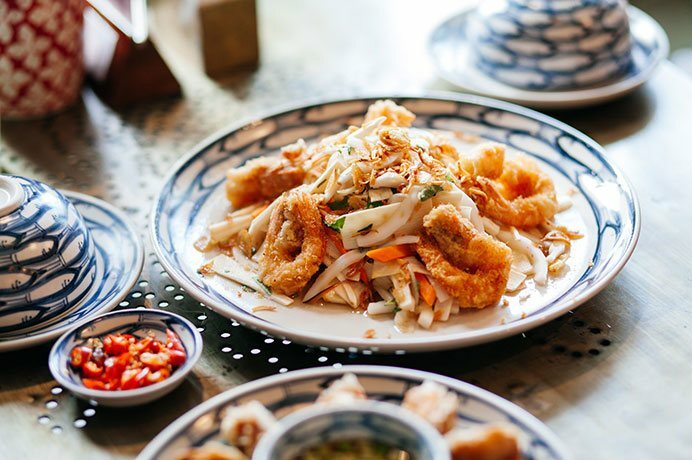 The menu is an eclectic selection of traditional family recipes from the three Vietnamese regions passed on from generation to generation. 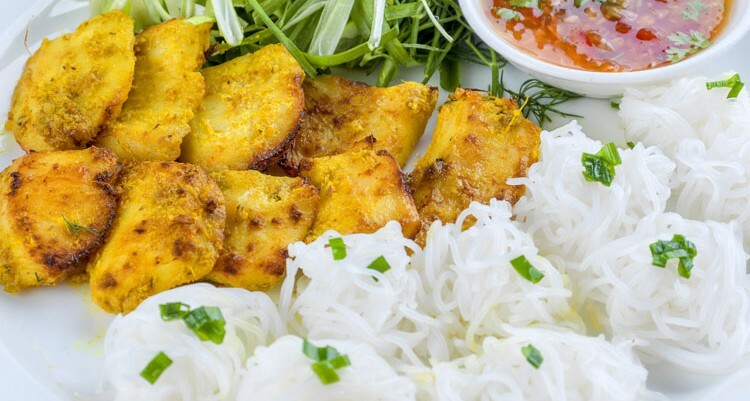 It’s Vietnamese comfort food executed with love and passion that has won the hearts of Vietnamese and foreign guests. 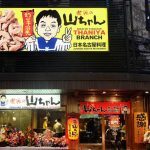 Open: from 8:00 to 23:00. 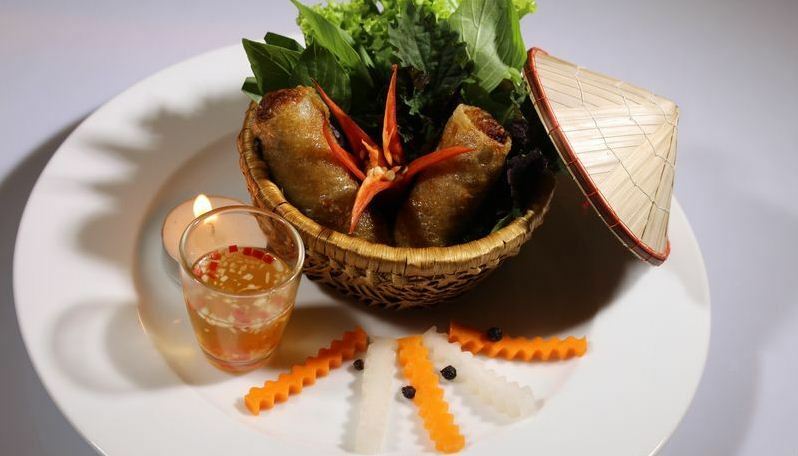 Each serving is priced at about VND150,000. 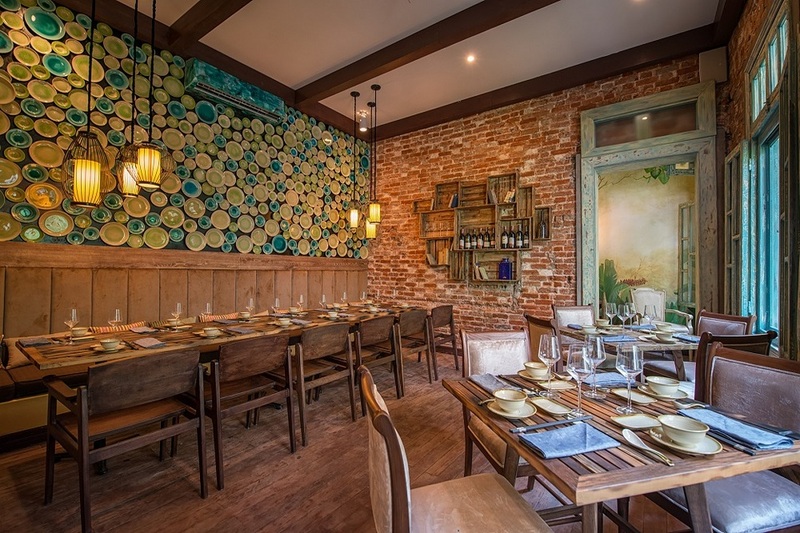 Situated at Le Thanh Ton street right in the city center, Chi Hoa restaurant impresses visitors with its open designs. 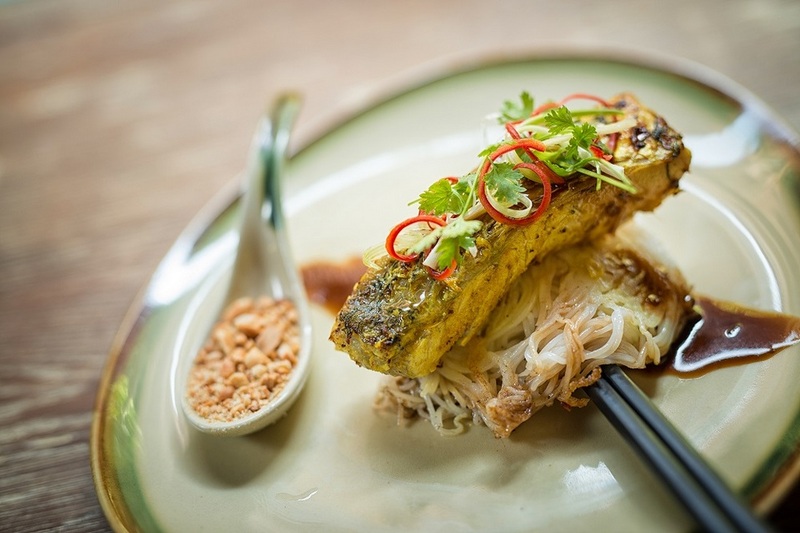 It is finely set with extraordinary patterns on kitchenwares. 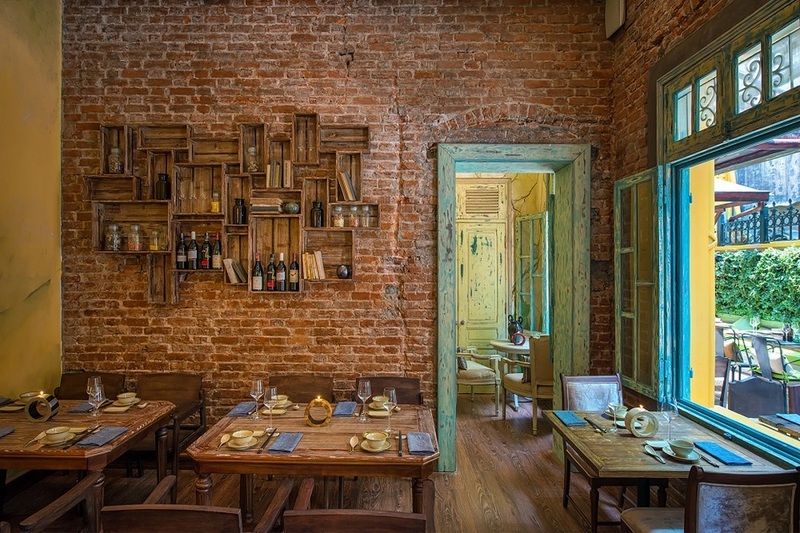 The kitchen is open to help guests enjoy a comfortable, cozy but distinctive space. 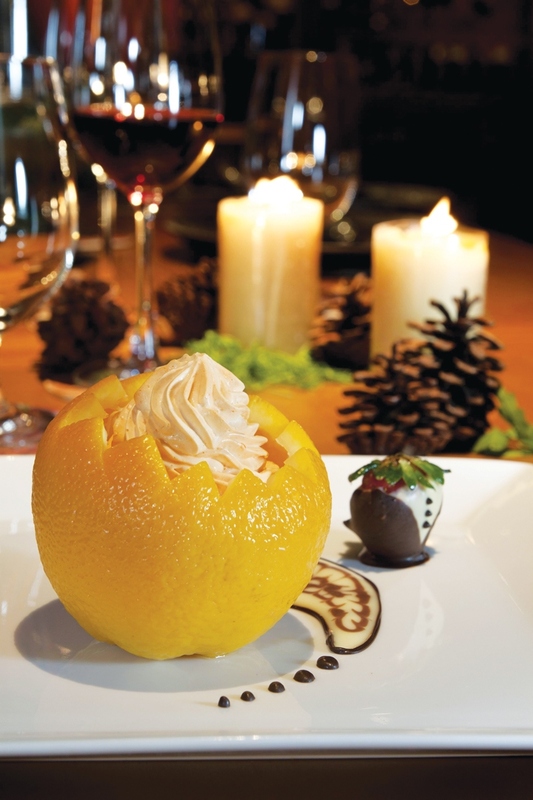 Fresh ingredients are chosen everyday to cook simply into, delicious dishes reminiscent of intimate family-style meals. 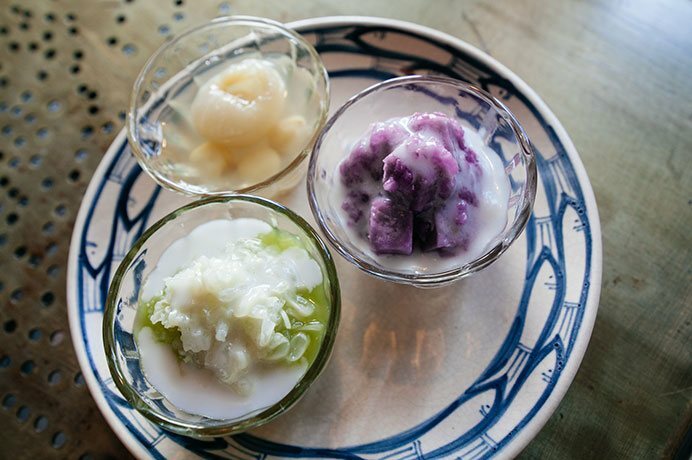 In particular, each dish is beautifully decorated to wake up the taste’s buds of both locals and foreigners. 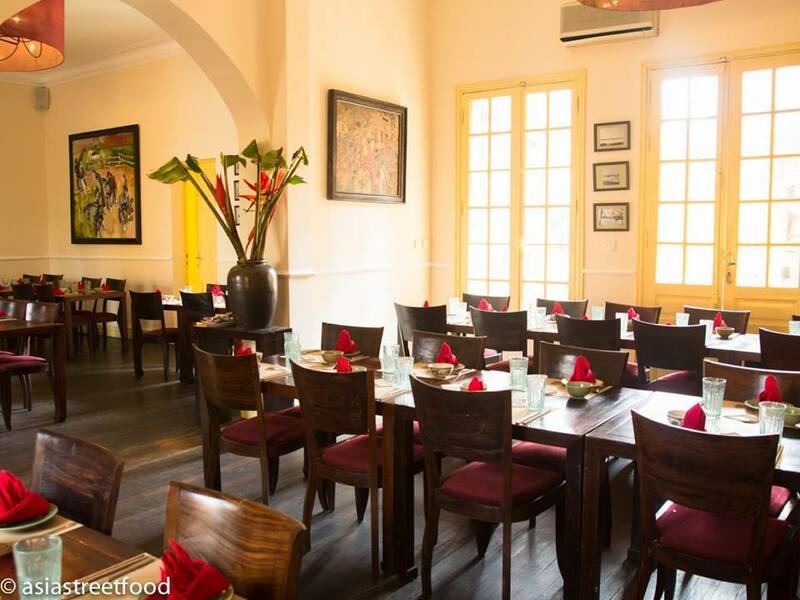 Opening hours: from 7:00 to 23:00 everyday at a price of VND100,000 to 150,000 per person. 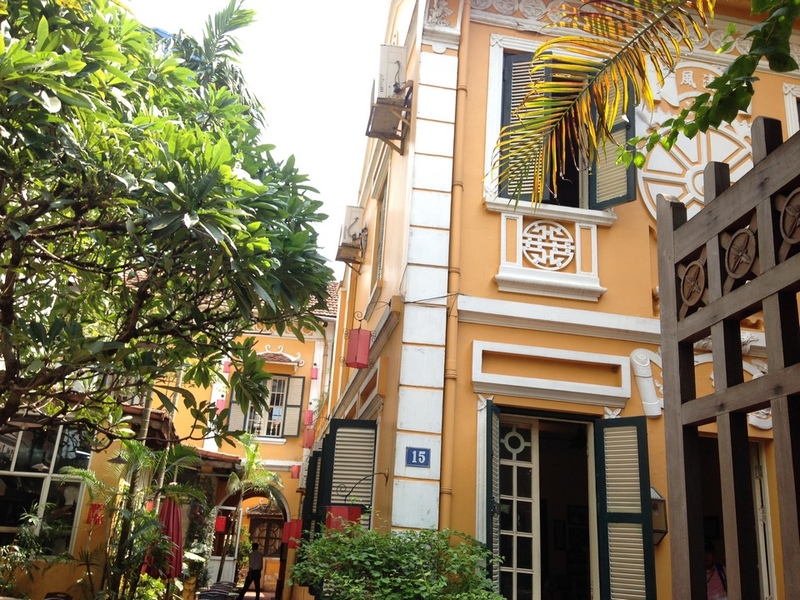 Read more Hanoi travel guide at here and Ho Chi Minh City at here.